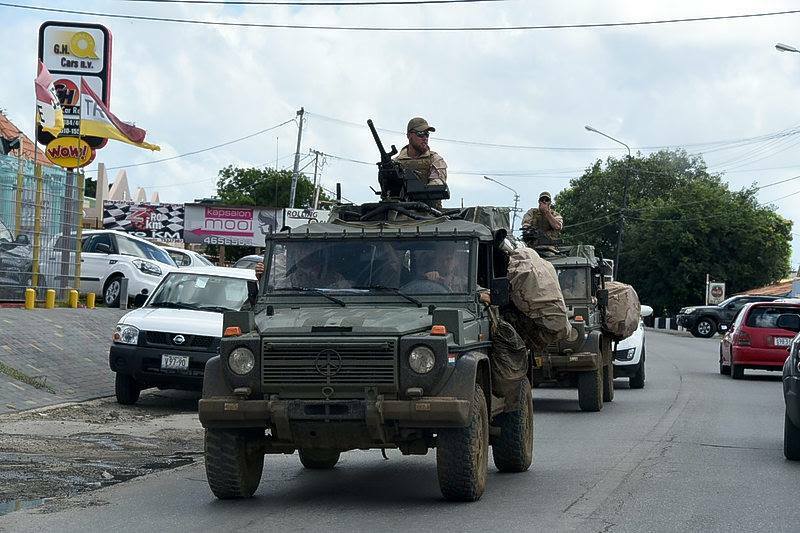 WILLEMSTAD - The military vehicles in streets of Willemstad have nothing to do with the political situation on the island. Several newspapers this morning opened their edition with text and photographs of heavily armed Dutch soldiers in the streets. After a request for information it shows that they are working on a final exercise and ended up accidentally in the city. Clumsy, according to the Dutch Department of Defense, and certainly not the intention.